In order to attract developers and investors, countries need help understanding their renewable energy resource potential. High-level country maps of solar and wind potential have been carried out sporadically using different methodologies. Estimates of renewable energy resources in developing countries tend to be less certain due to a lack of ground-based measurement data for validation purposes. As a result, this increases the risk for developers, and raises costs. 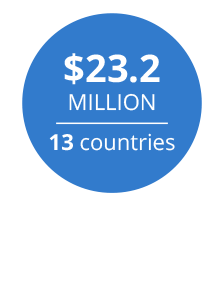 ESMAP’s initiative on RE Resource Mapping launched in 2012 and helps countries to map their renewable energy resource potential using the latest methodologies, and then incorporate this data into national planning. For more information, see our Procurement Details. Launched the Global Wind Atlas in partnership with DTU. Solar resource and PV power potential maps and GIS data for 145 non-OECD countries and selected regions can be obtained from the download page of the Global Solar Atlas. Furthermore, an evaluation of the solar resource and photovoltaic power potential has been carried out in Myanmar.